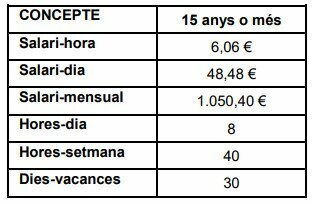 The minimum salary in Andorra is taken from the CASS website, the monthly minimum wage for 2019 is 1050.40 euros. 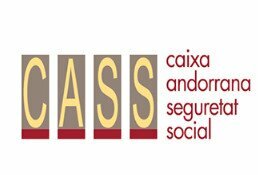 Andorra CASS or the “Caixa Andorrana de la Seguretat Social” is the social security system of Andorra. There is little or no information in English so I have compiled a guide for those whom it may affect. Firstly, the scheme is not open to passive residents and that includes Cat A, B and C who are required to have private medical insurance. Company shareholder/directors’ contributions known as “Autonòm” and are a fixed amount, but which can vary depending on circumstances and subject to approval. Please see below for the new regulations for Autonòm contributions (Feb 2019). Most of the readers here will be concerned with Autonom contributions although those that employ (also for domestic helpers) should also understand the rules and requirements. a) For salaried employees, contributions are 22%, that is 10% for medical contributions and 12% towards the pension when you reach 65 years old with a minimum of 500 points (see below) to ensure continued medical cover after retirement and a minimum of 15 years contributions to be entitled to a pension For the 22% contribution 6.5% is paid by the employee from his salary and the employer pays the remaining 15.5%. b) For Autonòms the monthly contribution is fixed for 2019 at 464.62€ (reduction entitlements see below). That means with the above formula 10% for medical contributions and 12% pension contributions, the contributions will be 211,19€ and 253,43€ respectively. You may also refer to the pension calculation samples in the section below. In both cases above the pension part will automatically purchase pension points which will accumulate and later lay your pension. There is no provision in Andorra to voluntarily See section below for example calculations. For medical benefits – salaried employees and Autonòms. In principle CASS will pay 75% of outpatient care and 90% of hospital care. There are companies here offering top up insurance to 100%. Benefits and re-imbursements are becoming increasingly under scrutiny as CASS seeks to balance its books. To be entitled to medical benefits, the employee must be receiving a minimum salary or more as laid down by the law (2019 that is 1,050.40€ monthly). As explained above Autonom contributions are fixed. If it is the first time that an employee or an Autonòm has contributed they cannot claim any medical benefits for 25 days, if contributions have been more than 25 days and less than 12 months then contributions cannot be claimed until after 15 days. There is then a sliding scale depending on length of contributions so that after 60 months contributions there is no grace period between jobs. Please note that therefore it is difficult to get part time or casual domestic help as they need a guarantee they have enough income each month to reach the medical benefit minimum. There is also a sliding scale where contributors lose rights to medical benefits, if they have contributed for 2 months, they are entitled to 60 days after employment/contributions cease and up to 120 days for contributions made for more than 36 months. To be entitled to medical benefits during your pensionable years you must have a minimum of 500 points in contributions accrued, but that does not automatically entitle you to a pension as well. To be entitled to a pension the minimum or fixed contributions must have been payed for a minimum of 15 years. Pension entitlements must be applied for in the months before a pension and there after twice a year you must continue to sign entitlement forms. The pension initially must be applied for in person in Andorra but subsequently can be paid to anywhere without needing the pensioner here in person. There is also a scheme where you can be paid a lump sum in lieu of a monthly pension together with the inflationary increases during the contribution period. This is a one off payment to you and cannot be partial. It is useful if you have contributed more than 5 years (minimum) and less than 15 years pension (as the required minimum to receive the monthly pension). So how much pension will I get? 1 point is equivalent to 21,61910€ of contributions for purchase. For retirement calculations each point accrued is equivalent to 2,25199€. (sale). After 28 years contributions (inflation ignored) the points accrued will be 140.67 multiplied by 28 which is 3,398.67 total points. The pension payable is therefore 3,398,67 multiplies by the sale value 2, 25199€.for an annual pension of 8,870.05€ annually or 739.17€ monthly. The monthly pension part of the contribution of 12% of the salary equates to 180€ per month or annually 2,160 € of contributions. After 31 years contributions (inflation ignored) the points accrued will be 99.91 multiplied by 31 which is 3.097.21 total points. The pension payable is therefore 3.097.21 multiplies by the sale value 2, 25199€.for an annual pension of 6,974.89€ annually or 581.24€ monthly. The above guidelines summarise the CASS system, there are many other topics not listed here such as widows pension, invalid pension, contributions for students and other social assistance that can be applied for.